Need a New Car to Drive in Terrytown, LA? Should You Look for an INFINITI QX50 Lease or Get a Loan? Choosing the right model of vehicle can challenge any shopper, but it’s hardly the only big decision you face when it’s time for a new vehicle. The next time you’re at the dealership, you may have to choose between an INFINITI QX50 lease and a loan to help you acquire the vehicle you want to drive in Terrytown, LA. How can you know which option is better, especially when there are pros and cons to each? Take a look at the different elements of both and which makes sense to you. Perhaps the most appealing aspect of an INFINITI QX50 lease is that you will not have to pay as much per month as you would for a loan. This is because you’ll pay for the amount the car will depreciate, not its current value. You also will have a smaller down payment and a lower interest rate. With a lease, you won’t have to worry about paying for major repairs because the warranty will cover these costs. Also, when the lease ends, you have a handful of options: return the car and walk away, buy it, or lease something else. You will need a higher credit score to lease. So, if you have concerns in this area, you may want to look at a loan instead. Also, people in Terrytown, LA, who lease can attest that the mileage restrictions (usually around 12,000 miles per year) can be challenging. Not only is it easier to qualify for a loan, but you also get to keep the vehicle as long as you want. If you enjoy the car and find that it meets your needs, it’s nice to know that it’s yours for the long haul. Also, once you pay off your loan, you won’t have to worry about making monthly payment anymore. With an INFINITI QX50 lease, you’ll always have a monthly bill. If you do decide to move on from your vehicle, you’ll have to deal with fluctuating trade-in values or find a private buyer in Terrytown, LA, to take it off your hands. These can be frustrating tasks. You’ll also have to pay a higher monthly payment when you buy. 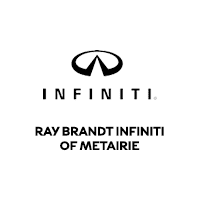 Once you know you need to find a new car to drive in Terrytown, LA, you should come to Ray Brandt INFINITI. The team can hook you up with a loan or with an INFINITI QX50 lease.